The actor Nakayama Shinkurô I held this name from the 11th lunar month of 1723 to the 10th lunar month of 1739, then from the 11th lunar month of 1740 to the 10th lunar month of 1752, then a third time from the 11th lunar month of 1755 to the 4th lunar month of 1775. 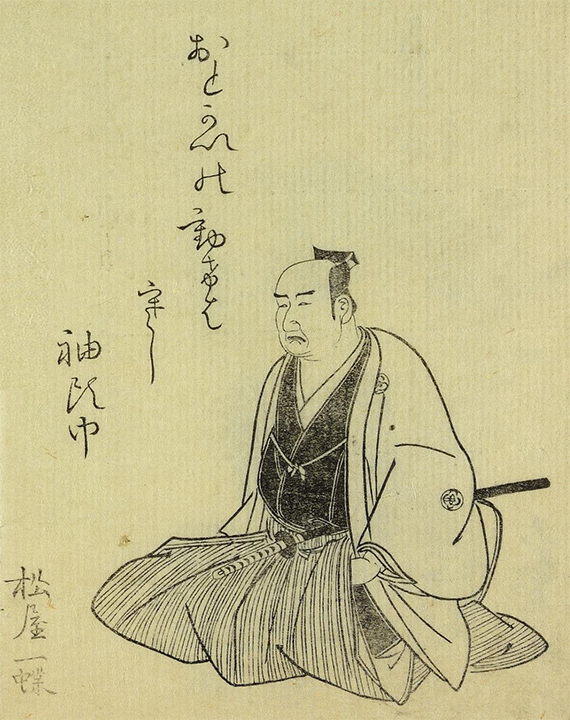 The actor Nakayama Shinkurô II held this name from the 9th lunar month of 1782 to the 3rd lunar month of 1783. The actor Nakayama Kiraku I held the name of Nakayama Shinkurô III from the 11th lunar month of 1802 to the 12th lunar month of 1825. Dates of birth and death unknown. 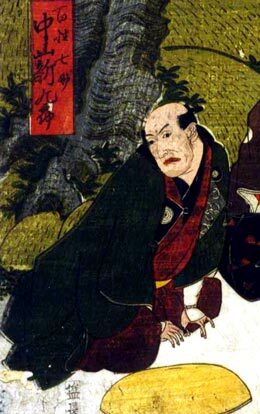 Son of Nakayama Raisuke III, he started his career as a wakashugata in 1799, performing under the name of Nakayama Raitarô. 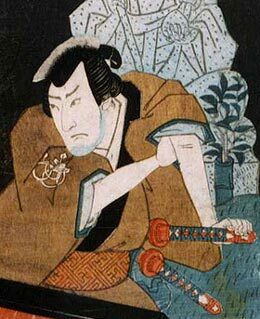 He became tachiyaku in 1807 and took the name of Nakayama Icchô IV in the 11th lunar month of 1816. 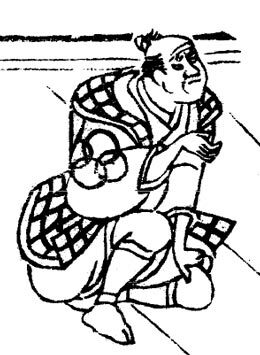 Icchô was the haimyô of Nakayama Shinkurô I, Nakayama Shinkurô II and his father Nakayama Shinkurô III. Icchô was the first actor to really use it as a stage name but he was considered as the fourth in this new line. He finally took the name of Nakayama Shinkurô IV in the 1st lunar month of 1826, playing at the Kado no Shibai the role of Kumai Gengobê in the new year drama "Keisei Date no Kikigaki". He also had the chance to play the same month the role of Tamiya Iemon in the drama "Iroha Gana Yotsuya Kaidan", sharing the stage with the star Onoe Kikugorô III (who played the role of Oiwa). He was active up to 1843, either in Ôsaka or Kyôto theaters or as a member of some travelling troupes (going up to Nagoya on tour). We don't know what happens to him after 1843 for he disappeared from the records. He was a good actor, able to perform a wide range of roles as a tachiyaku or a jitsuaku.